It is task that always comes on priority for parents. Parents often wonder if they can get some help to prepare their children for college and the most important things is to make sure they get a good high school. A Child education plan offers something interesting through which you will get combined benefits of savings and protections. You can also create some wealth also. Primary focus of child educating plan is to provide security to your child so that your child education never gets hindered due to any unfortunate event in the future. If you are planning for a MBA course from a top business school, cost can be varying from Rs 5-8 lakhs. And if you are planning the same after 10 years from now you may need at least Rs 13-20 lakhs to start with (considered the present inflation rate). Cost amount is unbearable until you start planning for your child’s education today. 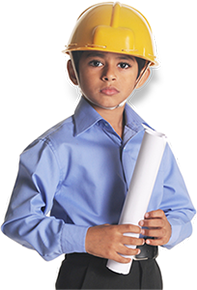 How Child education planning secure your child's future? There are two types of maturity benefits that you can choose in child plans. One can either go for a money back option which offers guaranteed payout every year after a few years or a lump sum payout at the end of the maturity of the policy. Benefits of having education plan for short term and long term, it will act as collateral for loans for higher education, it can be income protection for the child, supports the child in the absence of Parent(s) and a kitty for medical treatment of the child. We suggest child education plan as your requirement, financial situation, current & future income so that your child education never gets hindered due to any unfortunate event.